Elder law is a diverse practice of law focused on the needs of seniors, the disabled and their families. 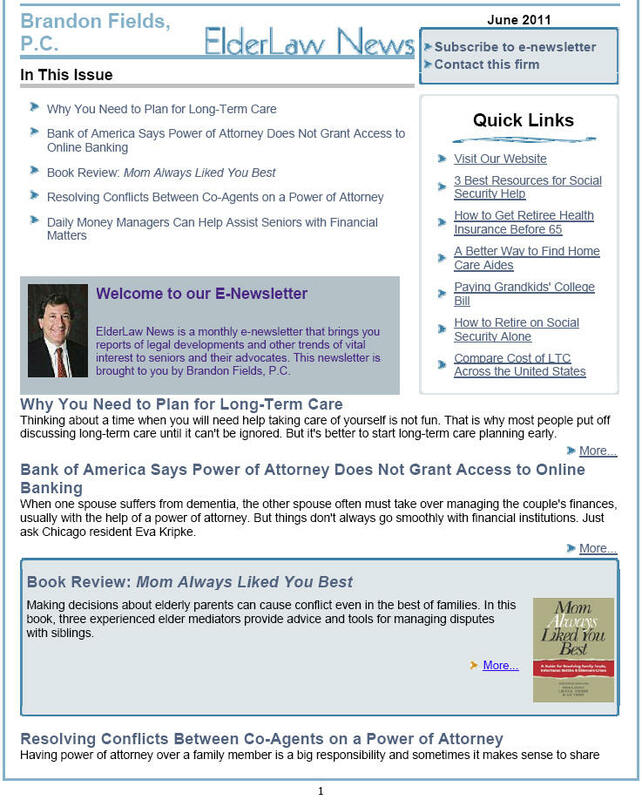 PDF formatted copies of the Elder Law Insights Newsletter may be obtained below. If you are interested in having this newsletter sent directly to you when they become available please use the sign-up for available on this page.